For millennia the iron pillar by the Qutab Minar has defied rust. It predates the tower and is full of legends. It is claimed that if a person can circle their arms around it they are legitimate, if not, they are the illegitimate offspring of their parents. “I was sitting near the pillar writing my notes” wrote Syed Ahmad in the first edition of his Asar-al-Sanadid. of 1847, ” when suddenly several young and beautiful women arrived, and tried to encircle the pillar [with their arms in that manner]. By chance, they all succeeded except the prettiest among them. Her companions started teasing her, so much so that she was about to burst into tears. Meanwhile I was quietly sketching and writing notes. God alone knows what the women thought of me, that I was a mullah perhaps, or a spell-caster, or perhaps an attendant at the [nearby] shrine. Delhi is really (atleast) eight Delhi’s. 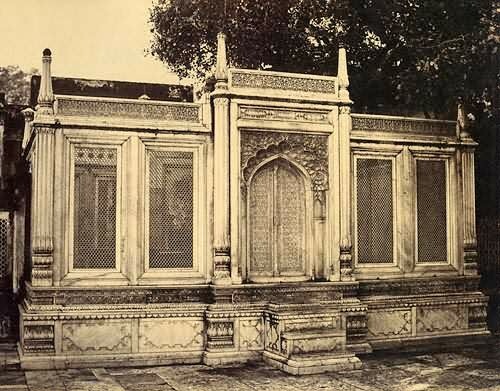 The first four Dehli’s were close to where the Qutab Minar now stands.The 5th was Firozabad, the 6th Pirana Qila (in present day New Delhi) and the 7th Shahjahanabad. Or what is commonly called Old Delhi. New Delhi was built from 1911. The first time I first rode Delhi’s underground futuristic rail, it felt distant from the class ridden chaos above ground. I had travelled up from Pune, the home of Commonwealth Games organizer Kalmadi. 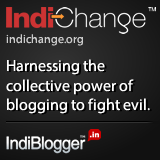 People were still smarting over the corruption of the Delhi games. 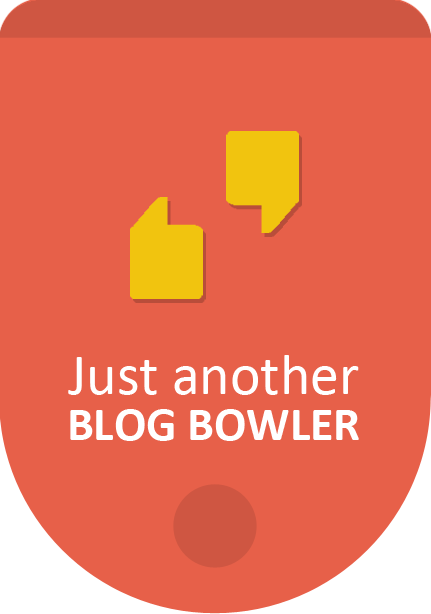 Kalmadi’s mistake was not corruption – everyone does that. Kalmadi broke the most important rule. Be as corrupt as you like but don’t embarrass your country or family. 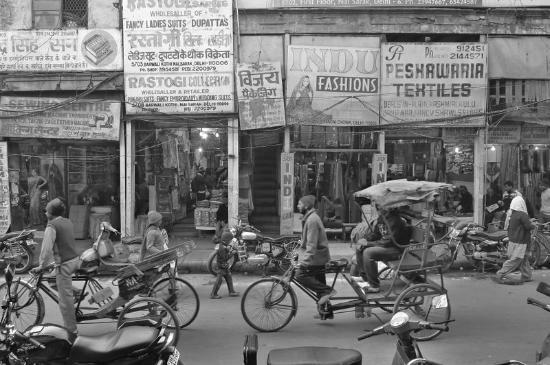 The chai wallah’s and street trades that are the soul of an Indian city were moved out to make Delhi appear a modern Megacity. “What will the foreigners think” mattered more than the people. Instead, Kalmadi’s failings left a sour taste in India’s mouth. Playing dodgem cars with city traffic I am reminding that Delhi is a city of contrasts. You can visit Humayan’s tomb or hear qawwali, devotional songs, at Hazrat Nizam-ud-dim Dargah. Women of different classes may pass the same desolate tree lined alley. The pure virtuous heroine may pass the mirage of a Westernised ‘vamp’ in rubber chappals. But the haveli’s have all but disappeared down the sharply receding perspective of time. Perhaps, for the wrong reason then, the Qutub Minar, in Mehrauli, Delhi will stand out in my memory. Stomach griping with Agra Belly (I had drunk bad water in Agra so I can’t call it Delhi Belly) and water was out at the local shauchalay, unable to flush or wash. I am please do say I have for years never had a repeat performance, as I delight in spicy food. However, I have since returned many times to enjoy the 1500 year old rust free miracle of Delhi’s rust free iron pillar. So I read the history books, beginning with Asar al Sanadid. 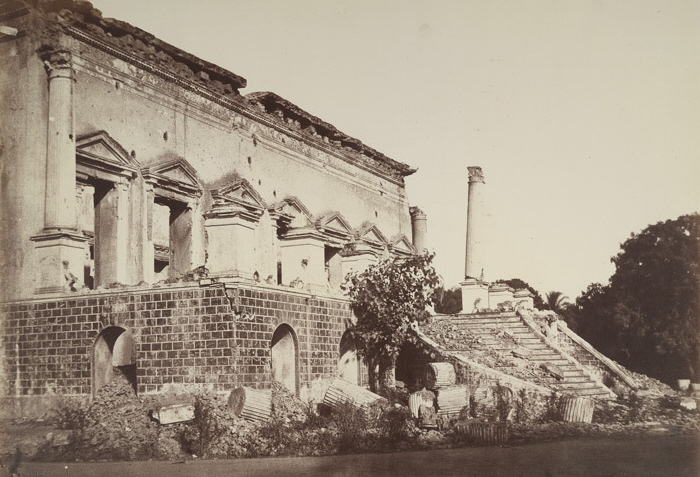 Perhaps, Syed Ahmed wrote his book in hope of gaining full membership in the Archaeological Society of Delhi which in September 1850 had only three Indian members, which included Nawab Ziauddin Khan of Loharu. 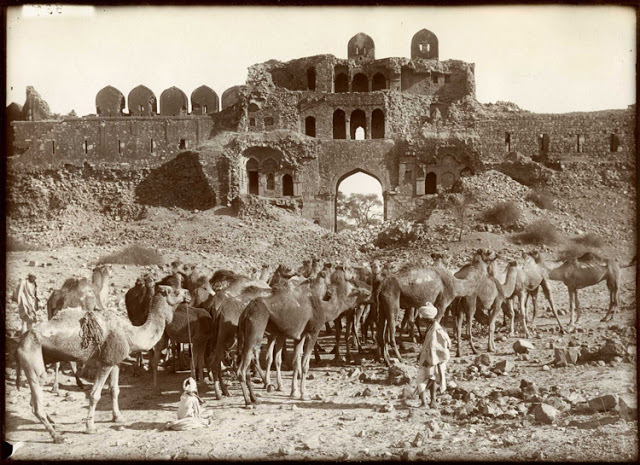 Was this why the book was dedicated it to the Metcalfe, expecting some special appreciation from the Governor General, who had recently put together a sumptuous album of Delhi’s monumental structures for his daughters in England? Ahmed was made a member in June 1852. Delhi painters, some well known to the author, seem to have appreciated his work. The first volume, of over 700 folio-size pages, was abridged in 1852 of anecdotal stories to more scientific style with redrawn smaller images. The first edition, published in 1833-34 when Ahmed was 54, narrated Ahmed’s extensive travels from the age of 17. The topgraphical account also includes learned discussion and autobiography. Another writer was Zainul Abidin Shirwani, who arrived in India around 1800, who claims to have spent eight years here. His book mentions over forty Indian cities, indicating those that he personally visited and the noteworthy stories he heard of others. Concerning Dihli. . .it’s also called Dilli. As told in the books of the Hindus, its walls in the First Age (daura-i-awwal) weremade of red ruby, in the Second of emerald, in the Third of red gold, and in the Fourth of steel. Then, as the ways and habits of the people changed the walls also changed; now they are made of bricks and stones. In the Fourth Age, a mighty king named Dihli built a city and named it after himself. Making it his capital, he resided there for long. After that it continuously remained the abode of powerful Rajas (rajaha) and Rays (rayan). After the emergence of the Exalted People, Muslim kings also made it their capital. They built so many buildings and such grand palaces that one can neither enumerate nor describe them today, even though the buildings were ravaged several times in the past. When Shahjahan, son of Jahangir, built the city anew, he named it after himself. It is now called Shahjahanabad. Under the Gurgani kings its population so increased that the city came to be 12 farsakhs long and six wide. But ever since Nadir Shah Afshar and Ahmad Shah Afghan came here, the city has fallen into bad shape. At present it contains nearly 100,000 houses, most of them beautifully built of bricks and having two or three stories. Of these, some 10,000 are such that the least of them must have cost two thousand tumans. Then there are a thousand houses of nobles and princes that must have cost three million (si-sad hazar) tumans each. There are elegant mosques, fine Sufi hospices, attractive markets with overflowing shops, delightful gardens and orchards, and countless tombs of saints and kings. The city lies in the third clime (iqlim); its air is warm and gentle; it gets its water from wells and a river; and its soil is equally desirable. A major river flows nearby. Coming from the north, from the mountains of Kashmir, the river passes the city on its north and enters the region of Purab; there it joins with the river Ganges, and after crossing Bengal falls into the sea. Delhi stands on a plain, and huge open expanses surround it in every direction. 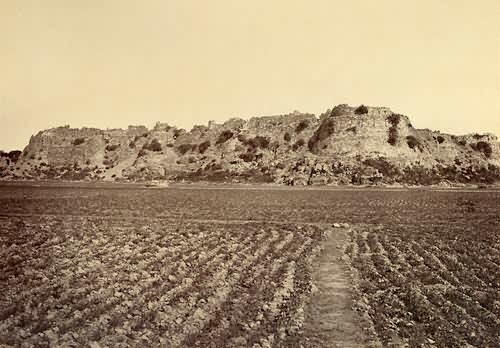 The imperial fort lies to the east of the city and beside the river itself. As God is my witness, such a fort has rarely been seen or heard of in the world. Its ramparts are made of carved stones of the colour of sumac berries, and each stone is approximately a yard and a half long. There are many fine buildings within the walls, made of marble and decorated with designs contrived from many-hued stones. When [its builders] wished to make a design they first carved [the design] in the marble, and then set in place colourful stones such as cornelian, turquoise, and many others. Their work is so fine that what is merely a design appears like the real thing. There is a garden within the fort; it is small in size but grand in sight. This humble person understands that [the Emperor] spent one hundred crore rupees on the fort and the buildings in it, [including] the audience chamber, the small garden, and the garden behind the fort. And one crore equals one hundred lakhs, and each lakh equals one hundred thousand rupees, while each rupee consists of two and one-half mithqal of silver—and God knows best. 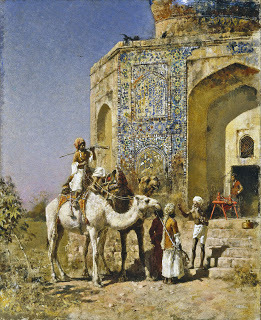 The region was for long the capital of sultans. Among them were the slaves of Ghur, the sultans of Khilj, the Qutlugh shahs, the Khizkhanis, the Lodis, the Syuris, and the Timurids. I have written about them in detail in my book, Riyaz-al-Siyahat.Because these grand kings showed favours on men of superior talent, raised armies, trained nobles, and made the needy happy with their generosity, people came to the area from most regions of the inhabited world. They arrived, found favor,married, and settled down, particularly those from Iran, Turan, Khwarizm, Badakhshan, Turkistan, Turkey (Rum), Syria, Arabia and Europe (firang). They left their homes to find well-pleasing lives under these kings’ benevolence. Verily, the beauty of the people of that region takesmany shapes. Mostly they are of a ‘salty’ complexion and proportionally bodied. [Verse:] ‘No youth is without a tang in all of Hind; it’s as if God had washed them all with brine.’ The writer stayed in that city for ten months, interacting with the nobles and Sufis and people of every sect and group, and established friendly ties with its notable men. About some of the latter I have written in my book Hada’iq-al-Siyahat. Shirwani then writes about meeting Emperor Shah Alam II, and the famous physician Hakim Sharif Khan. He describes them more to talk about himself and his own views and also lists important people giving us a flavour of Delhi’s past glory. The writer Abdul Qadir agrees. Delhi was not just a site of antiquities and past glory but also a place made significant by its residents. We see this when he describes how the Iron pillar in Delhi was built. Why was Dehi’s Iron Pillar built? The story about Raja Pithaura, who was told by his Brahmins to plant the pillar so deeply that it would penetrate the head of the mythical snake on which rested the earth. A strange story it is. The earth, according to the Hindus, rests on a snake’s head. In which case, the pillar must be bigger than either the diameter of the earth [if the earth is round] or its diagonal length [if the earth is rectangular], and the two differ only slightly. It follows then that the width of the pillar must be from China to the lands in the West. Secondly, how could the Brahmins dare to do such a thing when in the twelfth skanda of the Bhagwata—a heavenly book for them—it is declared that kingship over Delhi would shift from the Hindus to some other people? Further, according to the story of Raja Janmajaya, who used to kill all snakes, magic shall not be effective in the kaljug. It declares that [in that age] Mahadeva will so fiercely cast to the wind all magical spells that no one would be able to put together their words again. Then there are those who say the pillar is one of the weapons used in the battle between Duryodhana and Yudhishtra; much later someone brought and set it up here. Ignoring the incredible powers ascribed to those warriors—similarly unbelievable things are found in the histories of all people—there is still another matter to bear in mind. Why would a Muslim sultan set up here a useless weapon of the Hindus? And if it were the Hindus who did it, why didn’t the pillar become an object of worship for them? For if the Hindus [supposedly] gave up the worship [in the past] fearing the Muslims, they should have commenced it again after the latter’s power declined. The Rai Pithaura story is given four full pages in the first edition of Syed Ahmad ‘s work. He personally measuring its height twice, he assures us, at ‘22 feet and 6 inches’ once with a yardstick, then again with an astrolabe. In the two different volumes we find two explanations of the towers construction, revealing a change in his own thinking and differing from Abdul Qadir . Syed Ahmad first rejects the suggestion the pillar was intended as a sundial by Sultan Mu’izuddin. He argues that indecipherable ancient text suggests an earlier date although it may have been intended a sundial and preserved with the same purpose in the mosque and to display Islam’s glory (shaukat-i-islam). I find only this story closer to truth. My readers may consider it only a fantastic tale (fasana), but those who study history and know astrology will surely recall that in ancient times wise men and astrologers often constructed things of that nature. When something happened to the thing they made, it foretold a greater event that soon followed, for example the replacement of one imperial rule by another. We find such matters described in reliable books of history. Consequently, it wouldn’t be surprising if the Brahmins [of Pithaura] built something of that nature. What do modern researchers think? One theory suggests the 7.2 meter tall pillar (of which 1.12 meters is underground) was probably from a temple dedicated to Vishnu (the Hindu God of life & nourishment), and intended as a standard to support a figurine of hawk-faced, winged Garuda, Vishnu’s carrier, fitted in a deep socket embedded on top of the pillar. The pillar is pinned to the ground by lead and iron projections from its buried portion. Another theory is that the pillar itself portrayed Vishnu’s mace (“gada”) surrounded by his serrated disc (“chakra”). Further evidence comes from the six-line three-stanza Sanskrit inscription in Brahmi script inscribed on the pillar. The inscription refers to its erection by Emperor Chandra, a devotee of Lord Vishnu, as a standard, or “Dhwaja Stambha”, in a temple called Vishnupada. Palaeographically the pillar belongs to the Gupta period, but who is ‘Chandra’: Chandragupta I, Chandragupta II, who is also called Vikramaditya, or, as some believe, Samudragupta? Vishnupada is accepted as the temple caves of modern-day Udaygiri, Vidisha, Madhya Pradesh near the famous Buddhist stupas at Sanchi. 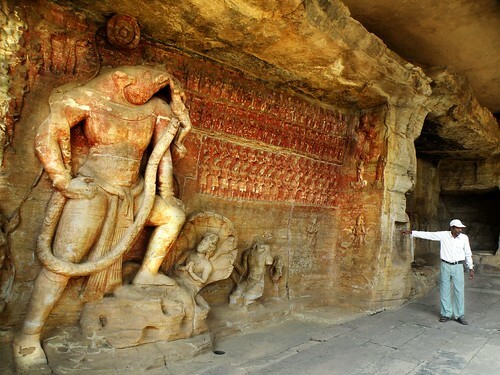 Meera Das and R Balasubhramaniam believe the pillars position in the Udaygiri caves near Sanchi, Madhya Pradesh, right on the tropic of Cancer, is where its shadow would fall at the base of a panel dedicated to Lord Vishnu at the summer solstice. Perhaps it is Delhi’s low humidity, but the reasons remain lost in time. How metal workers could make iron that is 99.72% pure is unexplained requiring temperatures higher than generated from coal. There is some rust in the underground portion of the pillar but why it remains rust free has inspired Von Daniken to claim it has extra terrestrial origins, for believers to affirm it was protected by regular annointings of ghee, or that it was made of meteorite material. The primary scientific explanation combines several factors: the irons high purity with a high proportion of phosphorus and negligible sulphur and manganese, the dry, less humid climate of Delhi and less exposure to industrial pollution because it is isolated at Mehrauli, and also the enormous bulk of metal absorbs surrounding heat and releases it slowly when the temperature drops (at night) thereby ensuring it remais dry with little dew forming on the surface. One thing is certain. Old Delhi was a vibrant city. You see this reading another of old Delhi writers was Mirza Sangin Beg author of Sair–al–Manazil (‘A tour of the mansions). More than anything, Sair-al-Manazil is about a city throbbing with life, written by a person with a remarkably expansive view of Shahjahanabad as a habitat. It details at length the city’s various markets, and informs us where different goods are sold, and various trades practiced. It is as much a general directory of the city as a treatise on its historical buildings. As Beg guides us to some monument, he carefully points out police outposts and homes of the city’s notables—Hindu, Muslim, and British—not neglecting the homes of a few famous courtesans. His historical comments, on the other hand, are uneven in length and detail; very often the text of some inscription provides all the information. To put the matter differently, while a historian would find Syed Ahmad’s book very useful, any novelist seeking to bring to life the Delhi of the 1820s would find in Sangin Beg a more valuable ‘helpmate’. Sadly by tidying up his second volume, Syed Ahmad certainly becomes more historic. 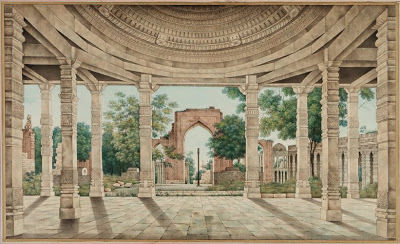 He omits the charming anecdote of the little girl at the Iron pillar at the Qutab commenting instead: ‘Young men try to encircle the pillar with their arms; in doing so they play a game in which the one who succeeds is considered a legitimate child of his parents, and he who fails is deemed illegitimate’. A shame really, for I want to feel the joys and sadness’s of the lost city and relive them in my mind. But for many years visitors tried to encircle the pillar for luck. As the myth spread the hands that wanted to encircle it also increased. This was found to be detrimental to the pillar and since has been fenced. In 1961, the pillar was removed for conservation work. It was later reinstalled in the same place on a new pedestal. Praise be to God, who blessed Man with such gifts as eyes and ears and intelligence and speech, so that Man could act after hearing all and seeing all, and after full consideration of the matter. And thus, enabled by God, Man discovers things that are totally amazing. Zainul Abidin Shirwani, Bustan-al-Siyahat, Tehran: Kitabkhanah-i-Sana’i, 1897(?). pp. 317–318. Abdul Qadir, ‘Ilm, p. 242. According to Sir Robert Hadfield in 1912. So far I had heard of 7 cities; may I know which is the 8th Dilli? Hi Ashok, I’m sorry I did not get back to you sooner. Of course, I am always ready to be corrected. Thanks. I guess you are right. New Delhi happens to be the eighth one! I grew up in Agra, the city of beautiful forts. These photographs and the read is truly inspirational. Thanks for making the effort and taking the time. 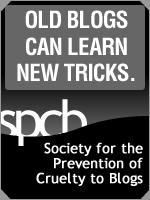 Very enriching blog.